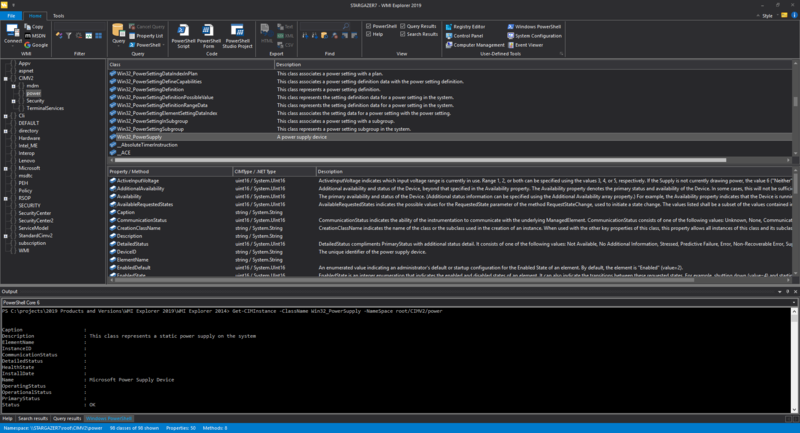 The latest WMI Explorer release (2.2.83) adds support for multiple consoles, just as you see in PrimalScript and PowerShell Studio. This also includes support for PowerShell Core, if installed. You can switch between different instances with the combo box right above the console window. This will enable you to verify that different WMI classes can be used from PowerShell Core or from a different bit-level console. all you need to do is to restart WMI Explorer. Additionally, with this new service build the console windows now default to the ‘Consolas’ font and a slightly larger font size. We love to hear from you, so feel free to provide additional feedback or suggestions in the feedback section of our forum.